Beautifully intricate, this amazing wasp nest was discovered in the loft of a house near Knaresborough earlier this month. 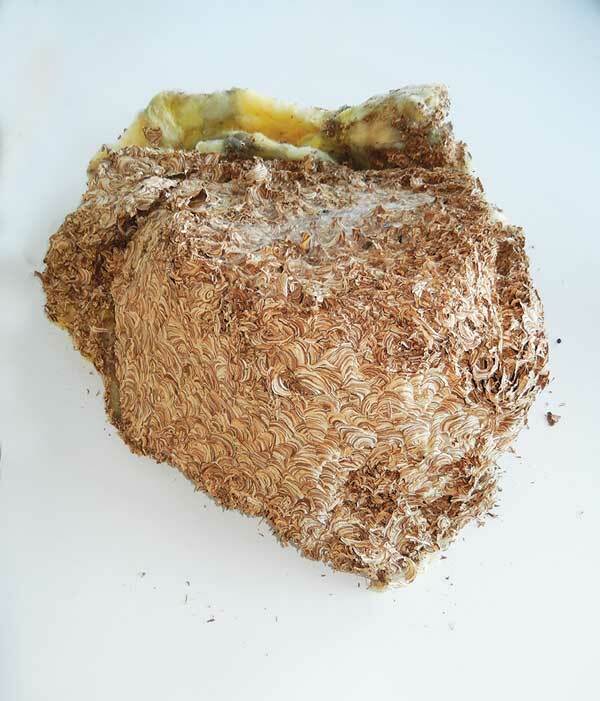 Showing incredible levels of detail, the nest measuring 60cm across and 30cm deep is extremely lightweight, but would have been home to up to 5000 wasps at its peak in the summer months. Carefully removed by a local pest controller, the nest is likely to house to up to 100 overwintering queen wasps preparing for hibernation before starting a new colony in a nearby location next spring. As with this nest, the common wasp or German wasp often builds in sheltered locations, including garages, loft spaces and in cavity walls, whilst the nests of the related tree wasp can be found in trees and bushes. Nests are carefully crafted, made from chewed bark and dry timber to create a papier-mâché like structure, usually starting out at just the size of a golf ball but growing rapidly. It’s been an extremely busy year for wasps and it looks like next summer could hold even higher numbers. Wasps can often prove dangerous when nesting in or near buildings, particularly in high numbers during the summer and during the autumn months when the few remaining males show increased signs of aggression. The nest’s size is impressive but doesn’t come close to the record breaking wasp nest found in New Zealand in 1963. Also built by German wasps, the staggering nest measured 3.7m long, had a diameter of 1.75m and was approximately 5.5 metres in circumference. Still, there’s always next summer! we just found a German wasp nest in a cabinet drawer which was out in a shed for about 15 years its in perfect condition we were going to burn it and are so thankful that we didn’t. I have lovely photos its 14 cm. and quite round. we are in Canada British Columbia Coast.